« TPM Reports that Sandra Fluke has issued a statement on the Limbaugh Affair. Boxer Press Release on the Blunt Amendment. Thank you, Senator Boxer, for your efforts. Yea, a lot of reds and a few blues voted for this mess. Maine’s Senator Snowe was the only Republican Senator to vote against it. I don’t wonder she wants to retire. As an actual Republican, it can’t have been easy for her the last four years either. 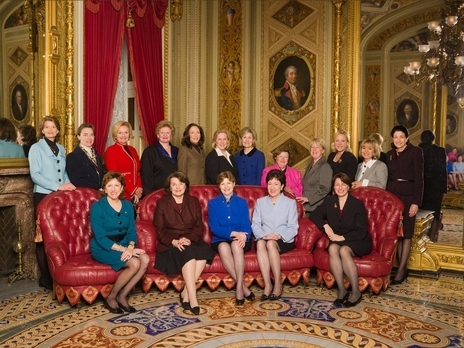 There are currently 17 women in the Senate-obviously nowhere near 51% of the possible 50 seats. Snowe’s seat MUST go to a woman if only to retain the status quo. I know it’s Maine, but a little diversity wouldn’t hurt either. Snowe herself has inferred that there is little room for a moderate in the current Senate. To break the deadlock in the Senate a Democrat or a Green in her seat would make the difference.